The only piece of information that Summer Davis takes away from her years at Peninsula Upper School -- one of the finest in the Brooklyn Heights-to-Park Slope radius, to quote the promotional materials -- is the concept that DNA defines who we are and forever ties us to our relatives. A loner by circumstance, a social outcast by nature, and a witty and warm narrator of her own unimaginable chaos by happenstance, Summer hangs on to her interest in genetics like a life raft, in an adolescence marked by absence: her beautiful, aloof mother abandons the family without a trace; her father descends into mental illness, haunted by a lifelong burning secret and abetted by a series of letters that he writes to make sense of his feelings; her best friend Claire drifts out of Summer's life in a breeze of indifference, feigned on both sides; and her older brother fluctuates between irrational fury and unpredictable tenderness in an inaccessible world of his making. Uncertain of her path and unbalanced by conflicting impulses toward hope and escape, Summer stays close to her father while attending college, taking him to electro-shock therapy treatments and trying to make sense of his inscrutable past. Upon his departure for a new and possibly recovered life, Summer begins to question the role of genetics and whether she is destined to live out her family's legacy of despair. But it is only when Summer decides to leave New York herself and put off a promising science career to take care of her great-aunt Stella -- bedrock of the family and bastion of folksy wisdom, irreverent insight, and Sinatra memorabilia in a less-than-scenic part of the Pennsylvanian countryside -- that Summer begins to learn that her biography doesn't have to define her...and that her future, like her DNA, belongs to her alone. 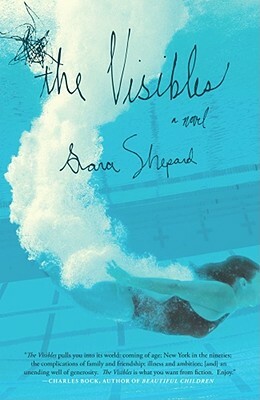 In a novel consumed by the uncertainties of science, the flaws of our parents, and enough loss and longing to line a highway, Sara Shepard is a penetrating chronicler of the adolescence we all carry into adulthood: how what happens to you as a kid never leaves you, how the fallibility of your parents can make you stronger, and how being right isn't as important as being wise. From the backwoods of Pennsylvania to the brownstones of Brooklyn Heights, The Visibles investigates the secrets of the past, and the hidden corners of our own hearts, to find out whether real happiness is a gift or a choice.